Posted July 20, 2010 @ 00:24:03 EDT. 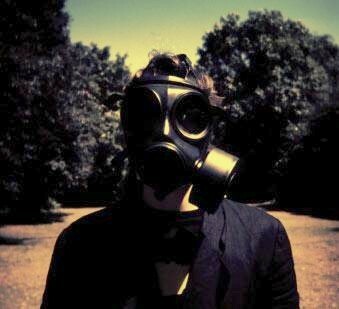 Since I've bumped into Steven Wilson's "Harmony Korine" video quite a bit lately and have enjoyed the song, I decided I should probably grab his solo album "Insurgentes" to see if the rest of it was as good. I started listening to Porcupine Tree in 2002 when a co-worker introduced me to "Stupid Dream." I was hooked immediately and went looking for more. I was pretty surprised when I found the band had been around in some form since I was in high school, and had been putting out albums since I was in college (an era when I was immersed in a strange mixture of metal, grunge, hip hop, and country, depending on who I was living with or running around with at the time). This same co-worker later introduced me to Blackfield, a joint project between Porcupine Tree frontman Steven Wilson and singer / songwriter Aviv Geffen from Israel. It was clearly an offshoot from Porcupine Tree, but it had a distinct sound and style making it — well, Blackfield. One could almost say that if Porcupine Tree is Duran Duran, Blackfield is Power Station. Having watched how these things have gone before (see also: Van Halen), I assumed this new project was the beginning of the end for Porcupine Tree. Not so. Steven Wilson, it turns out, is simply one of the hardest working people in the music business and really loves what he does. And Porcupine Tree kept putting out music, and so did Blackfield, and so did all the other projects Wilson has had his hands in over the last decade or so. As for "Insurgentes," his first real solo album — well, it, too has pretty obvious Porcupine Tree roots (it's his band, after all), but again, a distinct sound which is not Porcupine Tree. One could say this is "Dream of the Blue Turtles" after "Synchronicity," but that wouldn't be entirely fair, because Sting reached a point where he started getting lazy, and Wilson's song making energy seems boundless. This is a strong solo effort, though a bit experimental. In some songs, there are hints of a Jeff Buckley-esque incompleteness, in others, almost-homages to both The Beach Boys' "Pet Sounds" and Depeche Mode's "Violator." This lack of direction isn't for everyone. Overall, this feels like an avenue for Steven Wilson to push his own boundaries and grow as an artist. I can relate to that, so I like this album. If that's your thing, or if you're a fan of Porcupine Tree at all, you'll probably enjoy it. If you're coming into it looking for Porcupine Tree's recent polish, you're going to be disappointed. If, on the other hand, you want a sneak peek at what direction this diverse band may next take, "Insurgentes" is probably where you'll find the first clues.